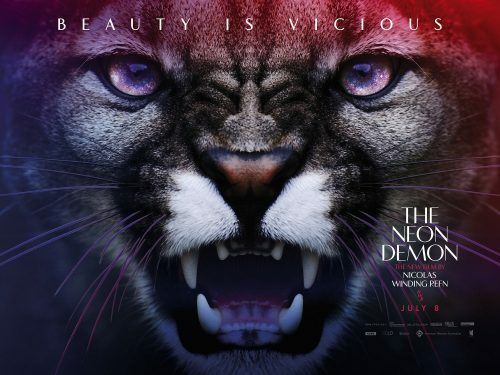 The first, teaser, poster for The Neon Demon has arrived. Considering some of the great images that have already been released, I’m quite amazed they decided to go with the one below. It seems to show that the biggest cat gets the prize. On the other hand, I’m surprised then didn’t go for this one or even this one instead to base the poster on.